Well, it’s Sunday again, which means I am painting my nails for the week. 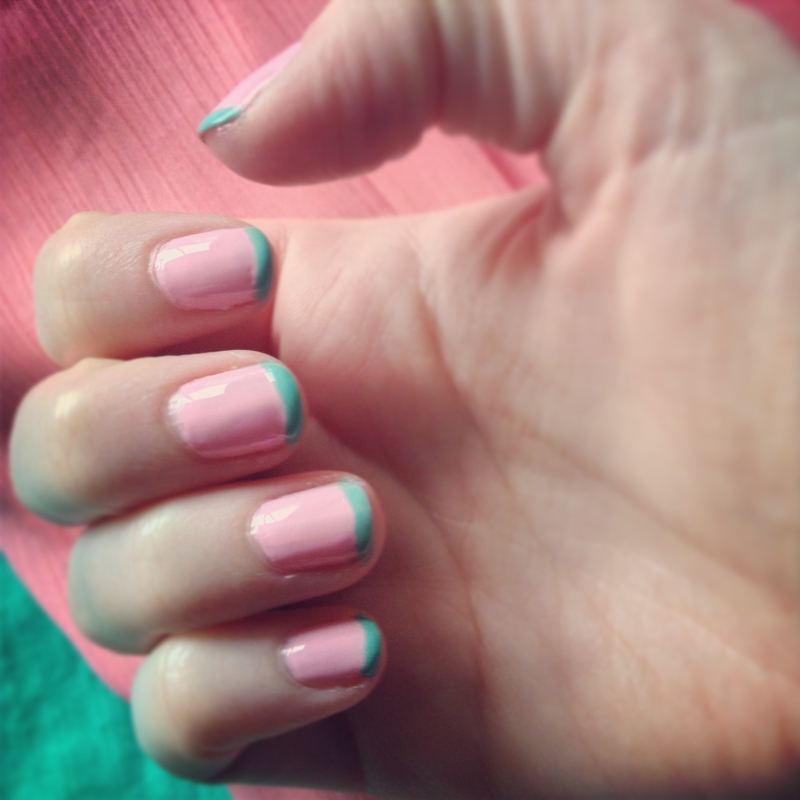 Lately, I have been inspired by some beautiful nail art (see: here and here). 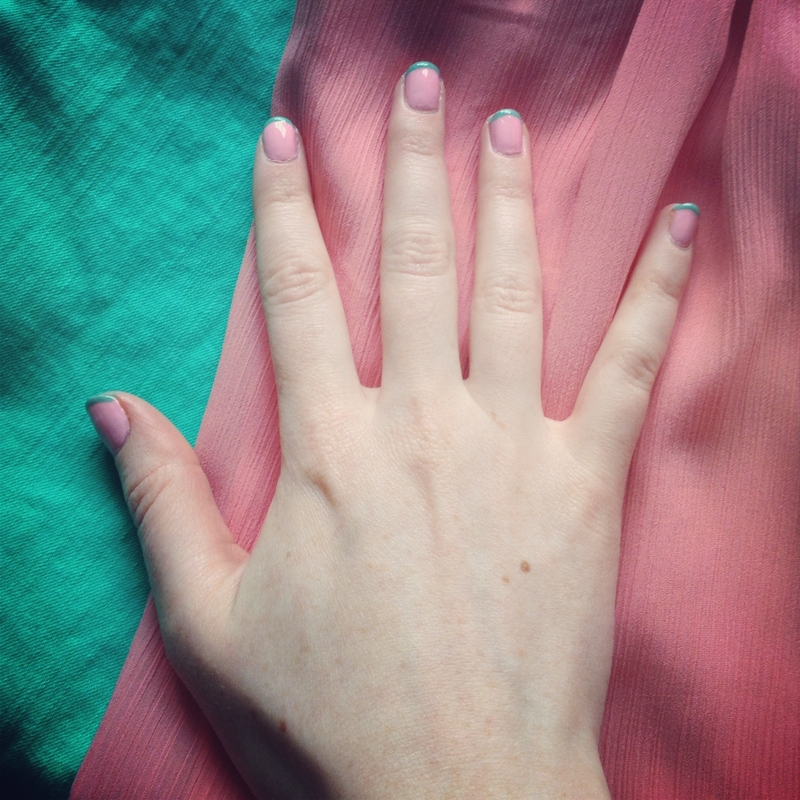 I decided to try some nail art of my own: a pastel french manicure! I wanted to try out some neon nail polish this week, but it has gotten cold and sunless here again. Oh well. Thankfully, fall and winter clothes are on the catwalk now for some inspiration. Stay tuned for some cozy looks this week…until summer finally decides to arrive! 1) I don’t really think nail art is my strong suit, but it was a lot easier than I thought! Check out online tutorials and blogs to read step by step instructions. 2) Many stores save their biggest discounts and sales for the weekends. For example, last time I was in Banana Republic, the salesperson told me that they often have 40-50% off their sale section on the weekends, but rarely during the week. Next time you are at a store that is having a sale, you may want to ask if there are going to be additional markdowns at a different time during the week/weekend. They’re beautiful! They’re dead on with the fabric swatches! Thanks! I linked the post to your blog as well! Awesome new post! I haven’t even looked at tools yet! I think a trip to Walgreens or CVS is in order….